Earlier in September the Village Square in Rhynie, Aberdeenshire was a bustling hive of activity. Archaeologists, artists and locals got together for a week-long celebration of heritage and hospitality during the Art and Artefact Project (funded by HLF). This project was a collaboration between Dr Gordon Noble (University of Aberdeen) and Rhynie Woman, a local artists collective. 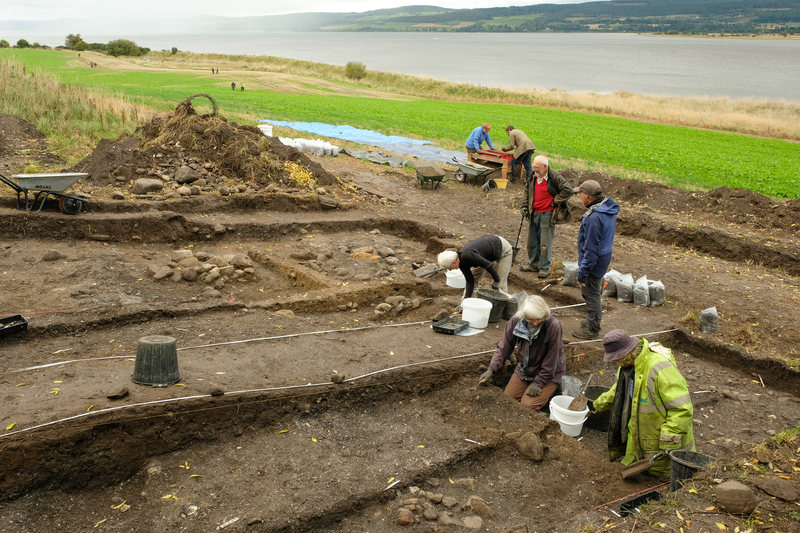 The project capitalised on the research and fieldwork undertaken in and around Rhynie since 2005 by Gordon (Aberdeen) and Meggen (Chester) as part of the Rhynie Environs Archaeology Project (REAP). 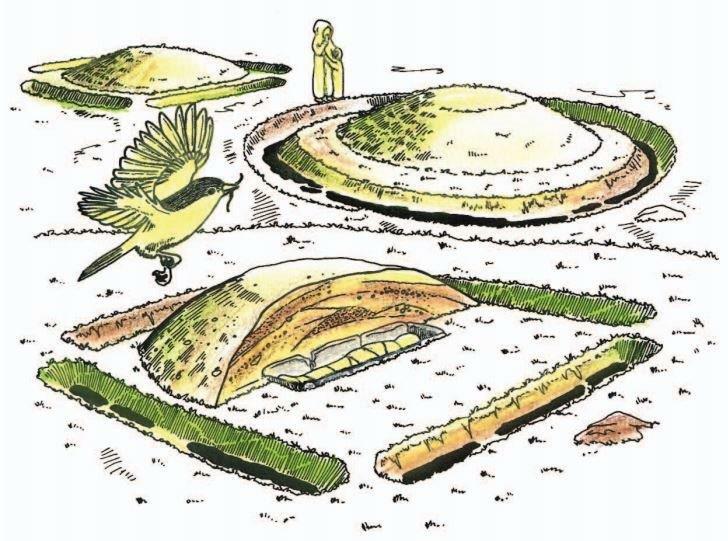 This work looked at the Craw Stane, the site of an in situ Pictish Symbol Stone and associated high status settlement as well as nearby square barrows with high status burials, including a female stone lined cist burial. Following on from the success of the Pop-up Pictish café run by Daisy and Debbie during the 2013 season the Rhynie Woman collective applied for funding for a weeklong event in 2014. 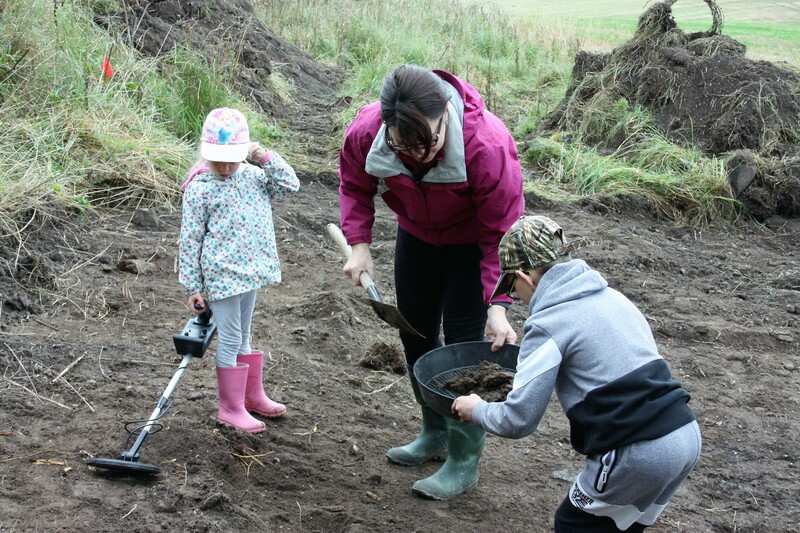 The project consisted of: a variety of art workshops; a Curiosity Café, displaying art created in and of the village; a programme of excavation to explore the Pictish past in Rhynie itself; an ever welcome stream of home baking and meals and hospitality for the archaeologists staying in Rhynie. The archaeological side of the project consisted of a transect of 1 by 1m or 2 by 2m test pit excavations between the Village Square and the Surgery. This was to explore the find spots and concentrations of activity marked on the old OS map from 1866. 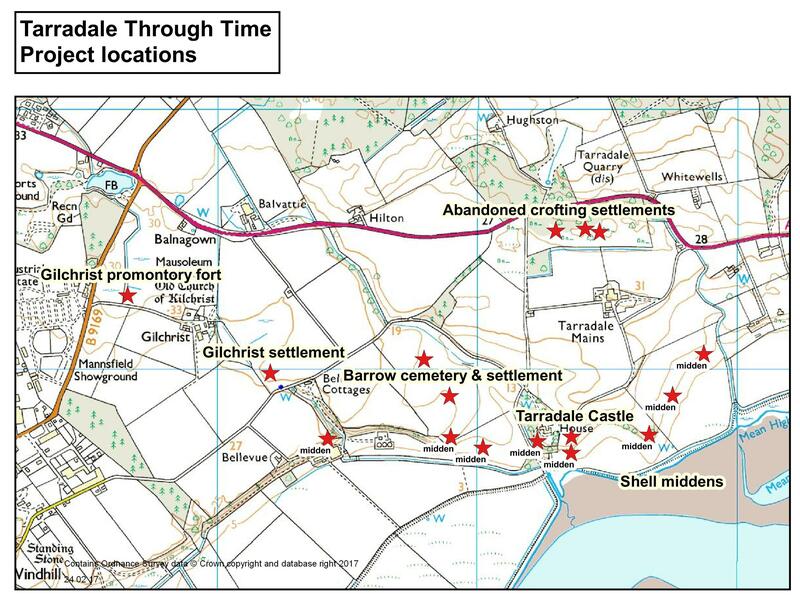 This map marked the location of several symbol stones, human remains and an urn which had been discovered when the current main road was put through Rhynie. 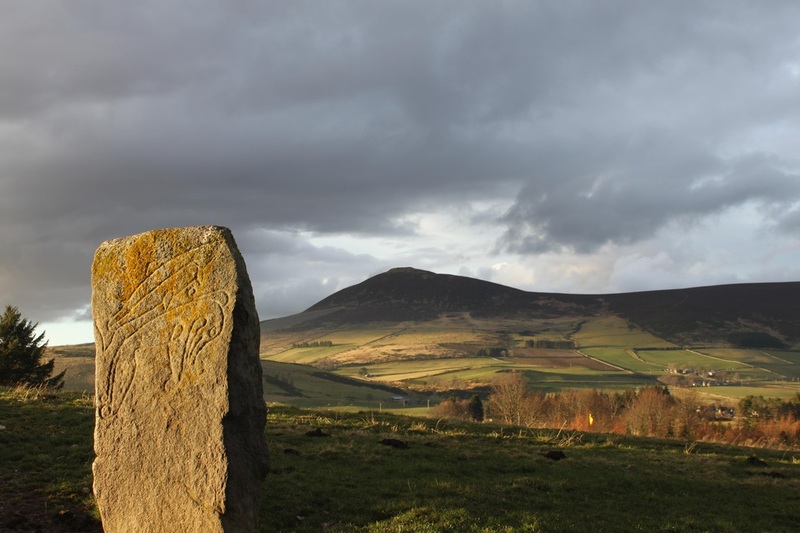 In addition to the Craw Stane, which is still in its original position to the south of the village, many other Pictish symbol stones have been found in and around Rhynie and are on display. We hoped to investigate the context for some of these stones in the area we were digging. Our initial test pits in the Village Green and nearby gardens produced a lot of material from the 19th century (pottery, an old track, a couple of possible structures and a hard packed surface that was probably the original square surface). The depth of material covering these deposits suggests that the green has been used over a long period and several attempts to level the area have been made by the introduction and spreading of material. This entry was posted in Aberdeenshire, Excavations, Pictish and tagged Archaeological dig, archaeology, archaeology Scotland, circular barrow, cobbling, craw stone, Digging for Britain, Excavation, Gordon Noble, Northern Picts, Pictish, pictish symbol stone, picts, post hole, radiocarbon dates, rhynie, rhynie aberdeenshire, rhynie woman, ring ditch, round barrow, Scottish archaeology, socket hole, test pits on October 4, 2014 by nosas.